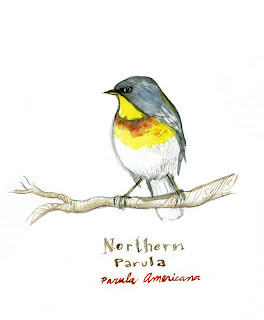 Parula americana is a type of wood warbler. The specimens that I had prepared over the summer had lovely bright bands of yellow, with another, smaller band of a rusty orange. According to the Cornell bird guide, there are two distinct poplulations: northern and southern with a conspicuous break in between. 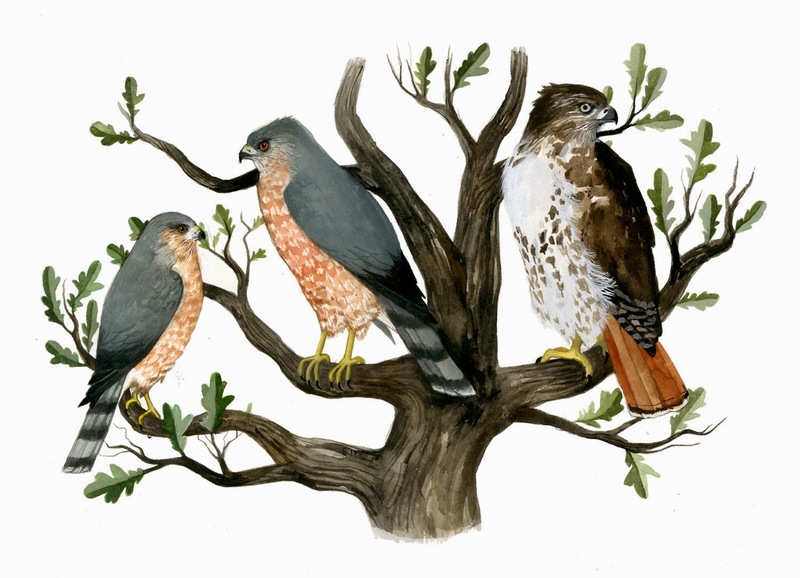 They prefer the upper canopy of trees, and will nest in spanish moss or old man's beard lichen.